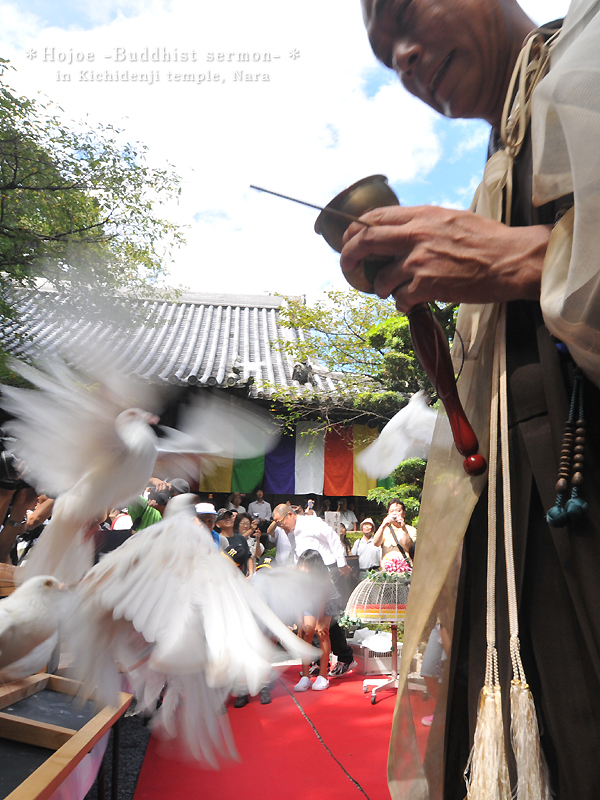 During this event, about 100 doves and 200 gold fish were released. of the Buddhism commandment against taking of lives. Taken at Kichiden-ji Temple in Ikaruga.